Art of the Real, a film series showcasing nonfiction work from around the world, remains and continues to be the most essential film event for serious and adventurous cinephiles. Once again, curated by venerable Dennis Lim and Racheal Rakes, FSLC is presenting the most impressive lineup yet: new works from Roberto Minervini, Ben Rivers, José Luis Guerin and Thom Andersen among others. 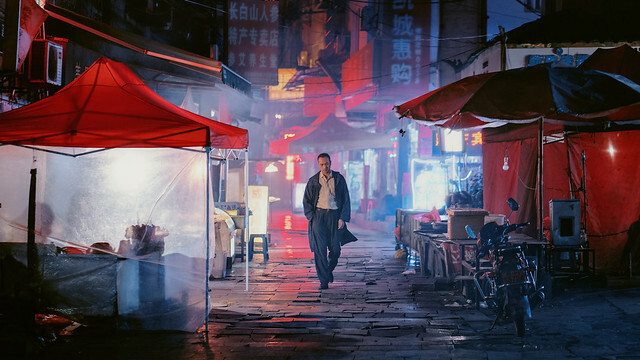 Tirelessly testing the boundaries of cinema, art and reality, these films assure me that cinema still is an artistic medium with much more to explore for a long time to come. This year, they are also highlighting American avant-garde giant Bruce Baillie's films, organized by Garbiñe Ortega. The selection of Baillie's films in this year's Art of the Real pays homage to his body of work, and drecognizes his legacy as an artist as well as his outstanding work as a distributor and promoter of avant-garde filmmakers. Previewing these amazing array of films ahead of the series year after year reminds me the reason why I am still putting up with living in New York. It's all worth it. Art of the Real 2016 runs 4/8 - 4/21 at FSLC. Please check their website for schedule and tickets. Roberto Minervini's new film after his Texas Trilogy finds itself a little to the west this time, in rural Louisiana, where unemployment is high and poverty rampant. Mark, a man with a criminal record ekes out a living doing menial jobs and selling homemade drugs to pole dancers at strip clubs. Most of the time he is high on drugs and alcohol with his girlfriend Lisa in his trailer. The Other Side is a remarkably frank document about people living on the fringes of society. Minervini, an Italian expat, got the complete access to the lives of Mark and Lisa and their extended family and friends, baring it all, in American deep south- with this fact alone, the film is a remarkable achievement. It's a deeply immersive experience and not unlike Pedro Costa's In Vanda's Room. It's more impactful because the film takes place in America, especially when film devolves into dark territory with white militias with their assault weapons, shooting up Obama effigies and talking about imminent revolution, "when the n***a president declares Martial Law and take down your doors and trample on our constitution" in the latter part of the film. Minervini observes all without once interfering or involving himself in any way, with real empathy, showing that all these people have left to hold on to is family and love. It's a strong, disturbing, beautiful film that deserves respect. Rafaele Pinto, an enegetic middle aged Italian Philology professor at Univ. of Barcelona teaches a course on 'how to be a muse' in a class largely dominated by female students. His theses, that music and poetry can reach the dead that words have power, draw a passionate debates among students and create heated conversations that spill out of classroom to cafes and parked cars. Culling from Dante's writings that a muse 'should be an active force in the lives of her subject, not a passive object of adoration', he inadvertently pushes his student to take charge in their love lives. Pinto is played by Prof. Pinto and the flurry of female students who later come into focus as the film goes along, are played by actual students. 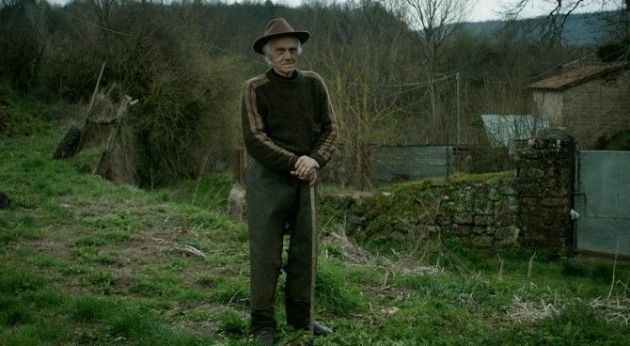 Once again, blurring the lines between fiction and documentary art and real life, Guérin concocts a film that is intellectually, emotionally rigorous, at the same time, deliciously playful. Pinto's aging wife is doubtful about his project and worries with the way things are going that he soon might be involving himself with female students. Indeed, the power of words sinks in to many students' minds and they become enamored with Pinto. He in turn start dating students as if he's one of Woody Allen's alter-ego. He explains to his wife's deaf ears that it's part of his experiments. The course work takes Emanuela (Emanuela Forgetta), a fiery Italian Brunette, to Sardinia with Pinto. There, intoxicated by the beautiful surroundings and pastoral life, she finds falling for a rugged shepherd. Pinto, part jealous and part studious, protests and tells her to think with a cool head. "You have to be his muse, not the other way around." Mireia (Mireia Iniesta), a blonde Spaniard who confesses to him about her online relationship (which is completely based upon exchange of words) that left her heart-broken. Pinto tells her that even though she is suffering, in a sense, she made him a 'poet'. Then he takes her to Napoli, where he was born, to contemplate on his own mortality. Shot simply by Guérin himself, the film implies matter of factly the complex relationships of people by shooting through various windows. Academy of Muses is an intellectually, emotionally and stylistically satisfying viewing experience and by far the most invigorating cinematic exercise I've seen this year. This Rashomon style tale of a village recluse of mythic proportions is told by grumpy old residents of the rural Italy. Mario de Macetta, otherwise known as Il Solengo - a lone boar, kept his distance from everyone and lived a hermit life in a cave for the last 60 years. This is a typical talking heads documentary that is anything but typical - it's even refreshing in its strict old-fashioned, formal approach. It unobtrusively comments and contrasts on the old Italy versus the new- all the residents who were portrayed are old men and the setting is unencumbered by any sign of technology. We don't see the subject until the very end, but that doesn't play out like a coy device for suspense. The film has its own rhythm and its slow pace reflects the environments and its residents. Would be a great film to be paired with Sacro GRA, another great Italian documentary in recent years shot in the rural peripheries of Rome. 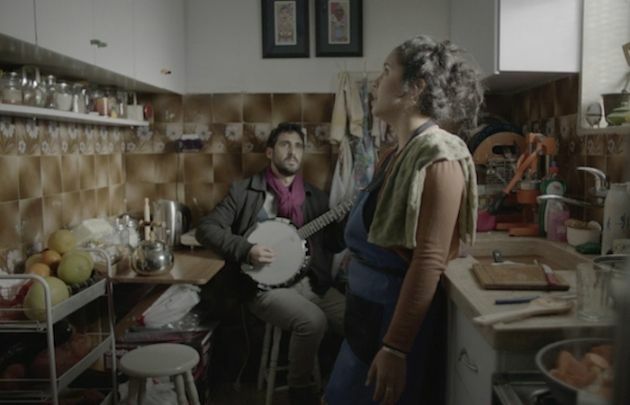 Artist Jumana Manna travels through Palestine and Israel, looking for ethnic music collected by Robert Lachmann, a German-Jewish musicologist in 1935 in his radio program, "Oriental Music". He invited many musicians from Palestinian territories all over and recorded their songs. But he drew only hostilities and criticisms from both sides. Reciting through his writings and music recordings, Manna charts intoxicating investigation through time and space both cultural and political. What strikes me first is incredible diversity of the region: the patchwork of all the ethnic groups and their music is vast - there are Kurdish Jews, Morocans, Beduins, Copts, Samaritans and many many more. Manna sets up shops in an informal settings- mostly in her subject's kitchen, them preparing food or coffee, and the music starts flowing and it's magical. The comparison with Julien Castraing-Taylor & Verena Paravel's Leviathan is unavoidable. Shot entirely on a freight cargo ship, Fair Lady, as it makes its way to the vast ocean from somewhere in European continent, Mauro Herce records with stately, ultra clean high-def images of the giant ship from various angles. What's impressive is its sound design along with eerie, Angelo Badalamenti-an soundtrack - mingling of giant machine hums, sonar beeps, engine room, the weather and roiling waves. The crew mostly comprised of Southeast Asians, spend their time doing karaoke and calling their families. Things take a drastic turn as the ship taking in water in treacherous ocean, the desperate radio communication is overheard, "Entire river is coming through the keel," "The water is reaching the storage tanks," "Sir, this is a disaster!" 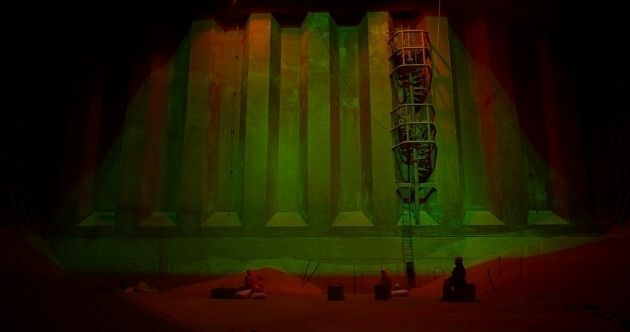 Cut to the sequence of red water - the palette is mostly green and red in the gigantic wheat storage area, and the workers shoveling grain in a relatively tiny buckets and throwing tons of grain overboard. A ship as a metaphor for wayward, aimless capitalism lost at sea is dully noted in Dead Slow Ahead but not as obviously stated as in Godard's Film Socialisme. Still, it's rigorous formalism and amazing sound design are something to take note. In 2002, director Ju Anqi and his friend, poet Shu went on a road trip and spent 40 days in the westernmost Chinese province of Xinjiang, hitchhiking and visiting various prostitutes along the way. The exhausting trip made the director and his actor/subject go separate ways and the footage was shelved for 12 years. It's a good thing that Ju picked up the movie again and edited it now. Like a good wine, it's better aged. Shot in full frame low quality video, the color had been degraded, so Ju decided to present it grainy black and white. The result is an at times idiosyncratic, funny, sad, poignant road movie full of local characters and interactions and 16 poems. With an absurd premise- that a poet sending himself on a business trip to a remote place, Poet works not only as a existential travelogue but an intimate time capsule of Uighur people, a Turkish speaking, muslim ethnic minority some 12 years ago. As Shu hitches a ride and share cheap hostel beds with these friendly people, there is no hint of ethnic struggle that's been turning violent over the years. There are a lot to love in Poet on a Business trip: a sheep herder and Shu exchange their mutual admiration for each other's life, "I guess we both want what we don't have. That we are all the same everywhere," the sheep herder remarks. A karaoke night with a prostitute turns confessional, revealing loneliness and yearning for that special someone to settle down with. As the constant traveling takes toll on Shu's health and mood, the trip gets a little lonelier with its colorless scenery accentuating its emptiness. What starts out as an idiosyncratic, goofy road trip, Poet on a Business Trip gains its poignancy over time, resulting in beautiful melancholia.